Gaithersburg, MD. 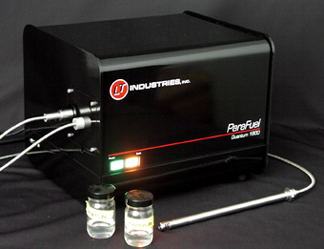 LT Industries has introduced SPX-II Technology for both bench and process NIR analyzers. The SPX-II system is embedded in the electronic control system of the host NIR analyzer. It enhances spectral data acquisition and enables higher-speed, longer-distance interaction with system-controlling computers. Designed in response to industrial manufacturing needs, SPX-II-active NIR instruments will expand the dynamic analytical dimensions of laboratory and on-line Near Infrared process measurements. The SPX-II design includes dedicated spectral acquisition hardware within LT Industries NIR spectrometers, enhanced data communication links and ties to the latest Windows™ operating systems, including Win 8™. The company reports that addition of SPX-II Technology to NIR instruments is a reduction in the size envelope of the systems. Further, LT Industries reports that the new package is compatible with the popular Grams Chemometrics tools, LT Industries newest Software, and LT Industries powerful LTBus software for DCS/Modbus integrations. Send email to info@LTindustries.com with questions or comments about this web site. Copyright © 2013 LT Industries Inc.